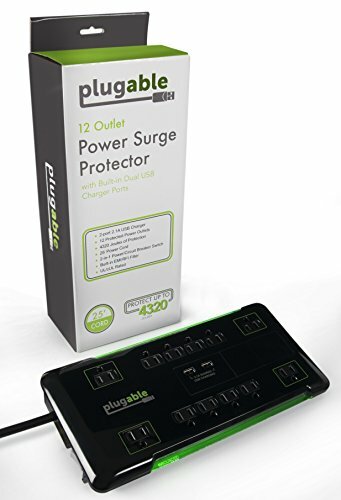 This power surge protector can help solve the dwindling wall outlet conundrum by offering 12 additional standard US 3-prong grounded power outlets with sliding safety covers in one elegant package. 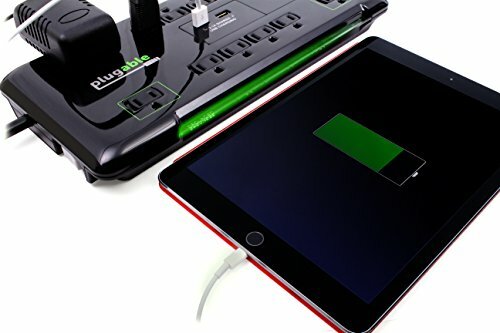 Its compact design and lengthy cable make it very easy to create the perfect all in one power setup for the home or office. Four outlets are widely spaced to fit large "wall wart" power adapter bricks. 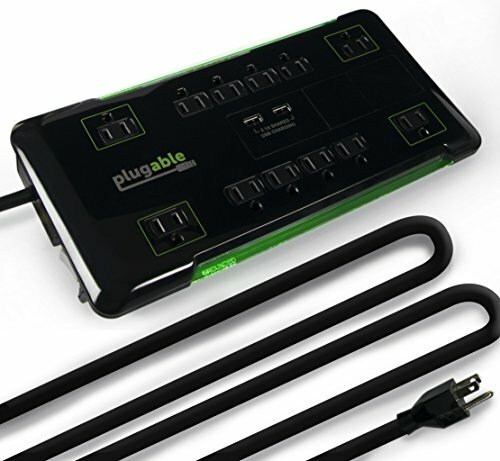 12 surge protected standard US power outlets with 4320 Joules of protection. Built-in EMI/RFI Filter. 2-in-1 power / circuit breaker switch. UL/cUL Rated. 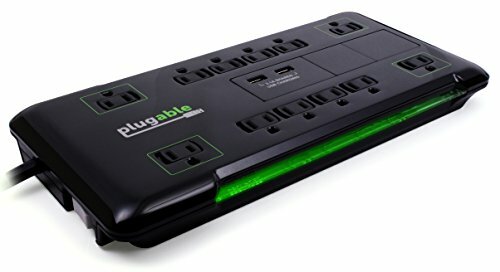 Sleek black design with sliding safety covers protect users from accidental contact and keeps dust and debris away from unused outlets. 25' cable for extra long reach - solves fire safety issues caused by extension cords.